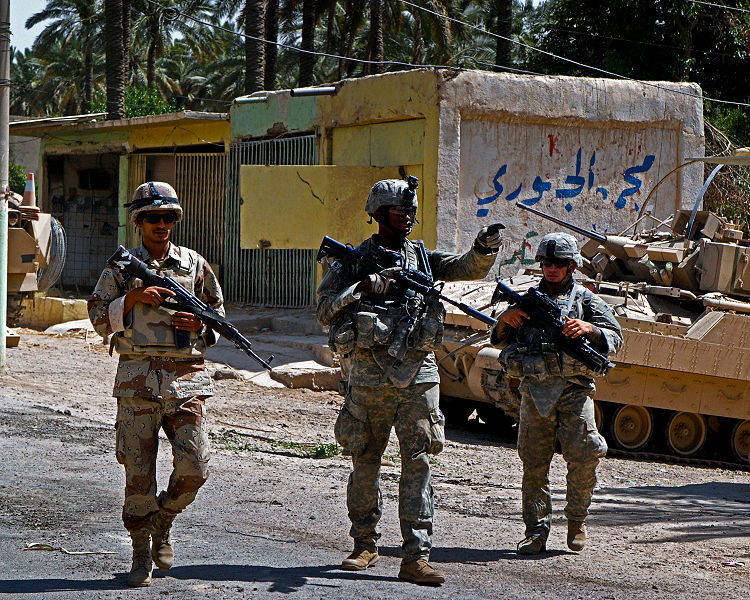 CaptainKudzu: Whatever happened to Saddam's WMD? It has been almost eight years since The US-led Coalition invaded Saddam Hussein’s Iraq. There were several reasons presented to the American public to justify the war. 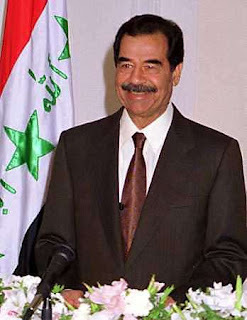 There was the Iraqi regime’s support for terrorism, its violations of human rights against Iraqi citizens, and, last but not least, Saddam Hussein’s efforts to amass an arsenal of Weapons of Mass Destruction which, it was argued, might one day be turned over to terrorist groups. Since the antebellum political discussions much has happened. Saddam’s terror ties are confirmed and were thoroughly documented in a 2008 report, Saddam and Terrorism: Emerging Insights from Captured Iraqi Documents. Likewise, Saddam’s record of torture and mass murder is now a matter of historical record. These facts have been overshadowed by the failure of Coalition forces to find the expected stockpiles of chemical and biological weapons, as well as indications of Saddam’s nuclear weapons program. This, in turn, has led to charges that the Bush Administration lied about the WMD in order to sell the war to Congress and public. It is important to note that Saddam’s WMD programs were established as fact long before President Bush was elected. During the latter half of the Iran-Iraq War, Saddam’s regime had used chemical weapons against Iranian troop concentrations. 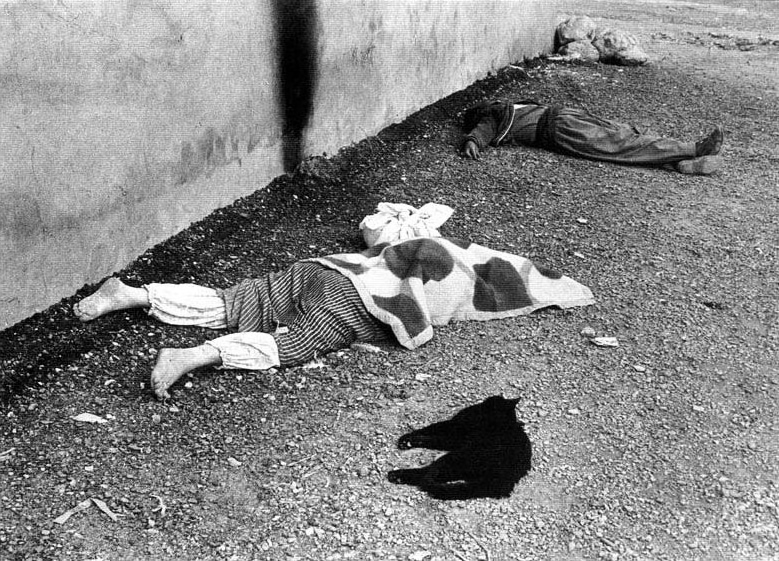 In 1987-1988, Saddam ordered chemical attacks against Kurds living in northern Iraq. On March 16, 1988, an attack on Halabja killed an estimated 5,000 people by Iraqi forces using some combination of mustard gas, sarin, tabun, and VX. Whole families and villages were murdered. You can view actual video of the attack and its aftermath here (Warning: This is not recommended for children or sensitive viewers). Many thousands more were injured and suffered permanent injuries from the poison gas. In all, an estimated 100,000 people were killed by Saddam’s government during the Anfal campaign, many of them by chemical weapons. Saddam also had an active biological weapons program, although these may not have been used in combat. Saddam never obtained nuclear weapons, but he had long sought them. In 2004, Mahdi Obeidi, one of Saddam’s chief nuclear scientists, detailed in the book The Bomb in My Garden how Saddam’s nuclear quest began shortly after he assumed the presidency in 1979. The program was set back by the Israeli raid on the Iraqi nuclear reactor at Osirak in 1981. By 1991, Saddam was very close to a nuclear weapon, but the program was set back again by Operation Desert Storm. After 1991, the Iraqis concentrated on hiding or destroying nuclear materials to keep them out of the hands of UN inspectors. Obeidi hid plans and key equipment for nuclear material in his garden until Saddam’s government was finally toppled and he felt confident enough to bring the cache to US forces. After the fall of Saddam, the Iraq Survey Group scoured the country for traces of the nuclear program, as well as Saddam’s chemical and biological stockpiles. The Duelfer Report, released in 2004, concluded that after the Persian Gulf War Saddam’s goal was to have the sanctions on Iraq lifted. To that end, he hid or destroyed much of his WMD capability. 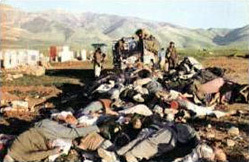 With the introduction of the Oil for Food program in 1996, was used to enrich the regime and undermine the UN sanctions. Saddam’s stated intent was to revive the WMD programs after he evaded the sanctions. Nevertheless, the belief that Saddam possessed no WMD or banned weapons by the time of the 2003 invasion is not true. For example, prior to the invasion UN inspectors found that Iraq’s al-Samoud 2 and al-Fatah ballistic missiles had ranges that exceeded the UN’s 150 kilometer limit. Both missiles also exceeded the size limit of 600 mm in diameter imposed by the UN on Iraq. Iraq also illegally imported banned missile engines and fuel. In 2004, insurgents used several artillery shells containing the nerve agent sarin as IEDs to attack US troops. The shells were likely from small stockpiles that were not destroyed by Coalition aircraft or Saddam’s soldiers attempting to deceive UN inspectors. The stockpiles were probably raided by insurgents before they were discovered by Coalition forces in the aftermath of the regime’s fall. One of the claims that Bush had lied about Iraq’s WMD centers on the claim made by Joe Wilson and Valerie Plame. The story begins with Italian intelligence passing documents (that turned out to be forgeries) to the US. The documents reportedly showed that Iraq was attempting to buy yellowcake uranium from Niger. The Italians gave the same reports to the British. In response to debate over the Italian reports, Plame suggested that the CIA send her husband, Joe Wilson, to Niger to investigate the claims. Wilson visits Niger and is convinced that the Italian reports are false. Nevertheless, there is doubt about Wilson’s conclusions. In the end, there was much other evidence pointing to a reconstitution of Iraq’s nuclear weapons program. Saddam’s regime was reported to be in the market for aluminum tubes, magnets, and other equipment needed for such a program. Additionally, there are numerous reports from other foreign intelligence services that Iraq is trying to obtain uranium from Africa. 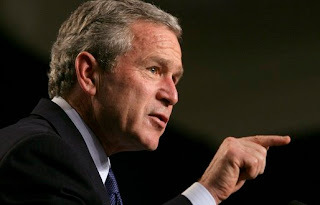 Further, it was CIA Director George Tenet who asserted that the case for Iraqi WMD was a “slam dunk.” Tenet later claimed that his comment was taken out of context, but before the war he publicly supported the Bush Administration’s claims. If he believed that the president was distorting his position, then Tenet had a duty to confront him. Tenet was a Clinton appointee. In 2006, former Iraqi Air Force General Georges Sada published Saddam’s Secrets. Sada claimed that Saddam had ordered moved much of his WMD material to Syria under the cover of relief flights prior to the 2003 invasion. This is a plausible claim because both Iraq and Syria were Baathist regimes at the time. The Duelfer Report could not corroborate Sada’s claim, but neither could it disprove it. It is known that the two countries engaged in legal and illegal trade during the years leading up to the war. In 2004, the Senate Committee on Intelligence issued its report on prewar intelligence. The report found flaws in the intelligence and analysis, but failed to note any pattern of deception pressure (except in partisan additional views). Georgia Senator Saxby Chambliss was party to an additional view that decried the lack of human intelligence inside Iraq and the US reliance on foreign liaisons. Chambliss also rebutted allegations of administration pressure on intelligence analysts. The claim that Bush knowingly lied about Saddam’s WMD does not pass the logic test. If President Bush fabricated claims about WMD, then he would have known in advance that the WMD stockpiles would not be found. If Bush was so unethical and unscrupulous as to lie to start the war in the first place, the logical course of action would be to import WMD along with Coalition military supplies being shipped to Iraq. Bush could have planted fake WMD and arranged to have the UN inspectors and the ISG find them. He would have been vindicated in the eyes of the world. Instead, Bush was as surprised as the rest of the world when Saddam’s stockpiles were not found. The egg on Bush’s face is the strongest argument in favor of his honesty. Being wrong is not lying. Lying requires an intent to deceive that is absent from Bush’s Iraq claims. So what did happen to Saddam’s WMD? The evidence suggests that some was destroyed. Some of this was by Coalition warplanes in 1991. Some was by Saddam’s men in an attempt to deceive UN inspectors. It is likely that some was sent to Syria and other friendly nations. Some was also likely hidden inside of Iraq. For someone as callous as Saddam, with the blood of hundreds of thousands on his hands, it would be simple to have laborers build underground storage facilities, move in the materials, and then have everyone involved killed. Dead men tell no tales. Some of these caches may yet be discovered underneath the shifting sands of the Iraqi desert. What is certain is that had the US and its Coalition allies not toppled Saddam’s government, the Iraqi dictator would have soon escaped sanctions and restarted his programs for nuclear, as well as chemical and biological weapons. The failure to find WMD stockpiles in Iraq was unexpected, but other US claims about Saddam and Iraq were substantially correct.